We love cakes here at Geeky Gadgets, especially Star Wars ones, the latest Star Wars themed cake is this cool AT-AT Cake. 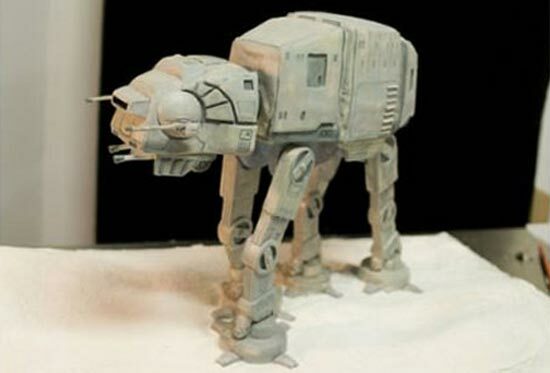 The AT-AT Cake was created by Jennifer Luxmore of Sin Desserts in Providence, RI, as you can see from the photo it looks really good, and the detail is amazing. The legs and base of the cake are made from wood, which is covered in gum paste, and the cake is the body.